Frozen, cold or at room temperature? Which is the right serving temperature for Champagne to taste it in the best way? Champagne, Spumante realized with thanks to the traditional method, encloses in its French-sounding name shades of elegance and prestigious. It is commonly considered, as a chic drink per excellence and usually it is associated to the concept of luxury and party. For a glamour aperitif, a special occasion or an important evening, thus, tap a good bottle of Champagne, that is always the perfect choice to make a good impression. Bubbles, however, to be tasted in the best way enhancing their organoleptic properties have to be managed with care, and preserved in a fresh place (around 10 degrees) sheltered from excessive heat or cold and above all served at the right temperatures. If it is preserved horizontally, champagne can maintain its aromatic notes and avoiding the contact between stopper and wine, the whole liquid will have the same temperature. 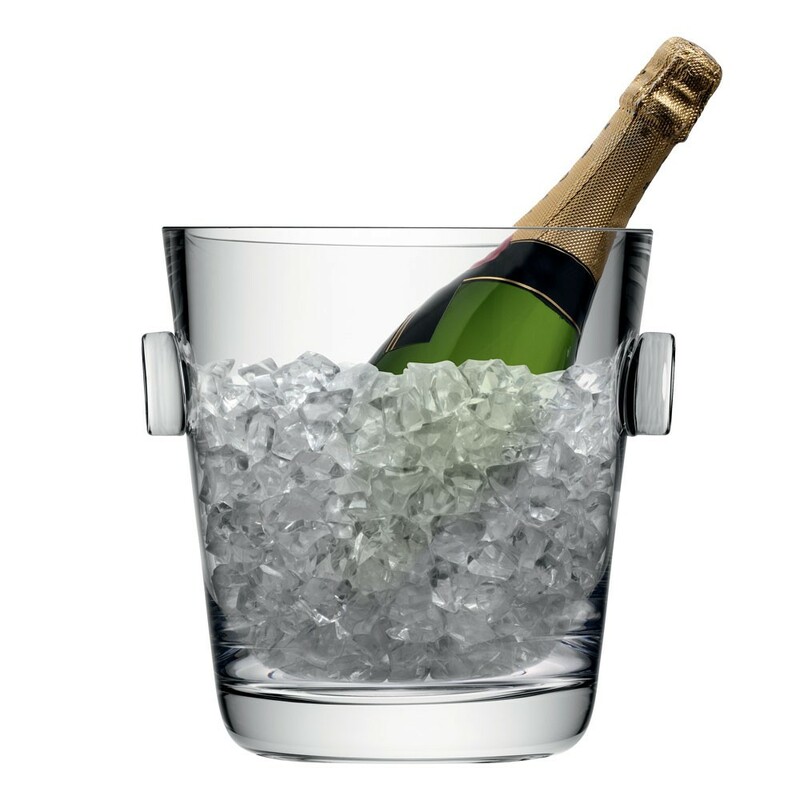 A cliché states that Champagne has to be served frozen: nothing but wrong or dangerous, to ruin completely the taste of the bubbles. When champagne comes into contact with the excessive cold, in fact, as every single sparkling drink, will loose its gas and thus all its original nature. Also the jumps of temperature risk to ruin the structure of the wine. The right way to chill a bottle of champagne is low and continuous. The preservation in the cellar is perfect and few hours before serving it, the bottle can be placed in the fridge, never in the freezer, possibly in the mildest shelf at a maximum temperature of 4 degrees. The right serving temperature for perfect bubbles depend on the period of ageing. As all the white berries wines, also the champagne are perfect at a temperature no lower than 10°. The cold, in fact, enhance the natural acidity above all of the youngest wines, in fact their right serving temperature is 10°, to enhance aromas and perfumes, often softened by the lower temperatures. To taste a good champagne is not only important to preserve the bottle in the right way until it reaches the right temperature. It is fundamental also the choice of the glass: once poured in the glass it comes into contact with the air and it warm up quickly, around 0,2 degrees per minutes. In a small period of time, thus, champagne in the flute will loose its ideal temperature, becoming too hot to show its best properties. The perfect glass, thus, is the classic flute, small and tapered (unlike the champagne cup that are elegant but they don’t preserve the right temperature). Worth mentioning is the custom to rinse the flute with fresh water before pouring the wine in it and to live the pleasant effect of the sparkling bubbles. On the table, finally can’t miss a bowl with ice where the bottle lays between a service and another to preserve it at the right temperature.